Before its brief mission ended unexpectedly in March 2016, Japan’s Hitomi X-ray observatory captured exceptional information about the motions of hot gas in the Perseus galaxy cluster. Now, thanks to unprecedented detail provided by an instrument developed jointly by NASA and the Japan Aerospace Exploration Agency (JAXA), scientists have been able to analyze more deeply the chemical make-up of this gas, providing new insights into the stellar explosions that formed most of these elements and cast them into space. The Soft X-ray Spectrometer (SXS) on Hitomi, photographed Nov. 27, 2015, at Tsukuba Space Center in Japan. The SXS permitted scientists to observe the detailed motions and chemical composition of gas permeating the Perseus galaxy cluster. Hitomi launched on Feb. 17, 2016, and suffered a mission-ending spacecraft anomaly 38 days later. Hitomi, which translates to “pupil of the eye,” was known before launch as ASTRO-H. The mission was developed by the Institute of Space and Astronautical Science, a division of JAXA. It was built jointly by an international collaboration led by JAXA, with contributions from Goddard and other institutions in the United States, Japan, Canada and Europe. Nearly 50 years ago, the first TV images of humans stepping onto the surface of the Moon were beamed around the world via the giant antenna dishes of NASA’s Honeysuckle Creek tracking station near Canberra and our Parkes radio telescope. By the mid-2030s, humanity could be taking the first steps onto the surface of Mars or probing the oceans of Jupiter’s and Saturn’s moons for signs of life. 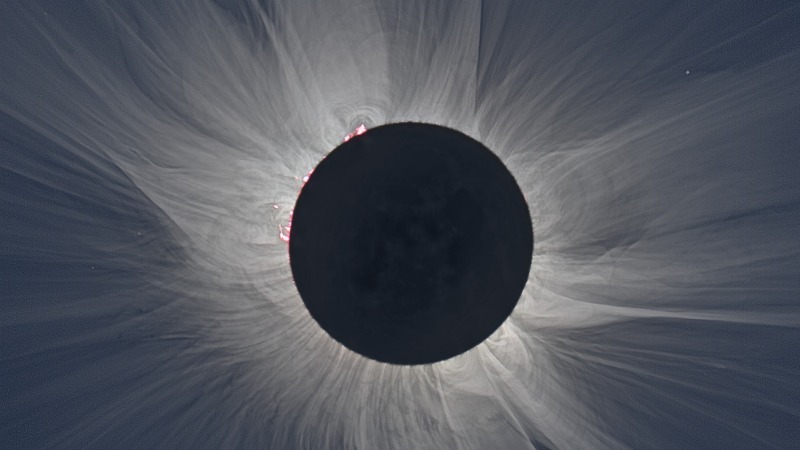 To achieve this, NASA will call on Australia to relay those images and potential discoveries to a wide-eyed world. To support those goals, a new 25 year bilateral agreement between the United States and Australia was signed on 17 October in Washington DC by Australia’s Ambassador to the USA, His Excellency the Honourable Joe Hockey and Acting NASA Administrator Robert Lightfoot. This treaty-level agreement continues a long legacy of cooperation and success between our two countries centred on our expertise and the use of critically important spacecraft tracking and communication facilities. Building on the framework of the new treaty, and crucial to its success, is the long-standing partnership between ourselves and NASA. From supporting NASA’s first successful interplanetary mission to Venus by the Mariner 2 spacecraft in 1962 through to today’s many exciting voyages of exploration, we work alongside the US space agency by managing facilities on their behalf such as the Canberra Deep Space Communication Complex (CDSCC). 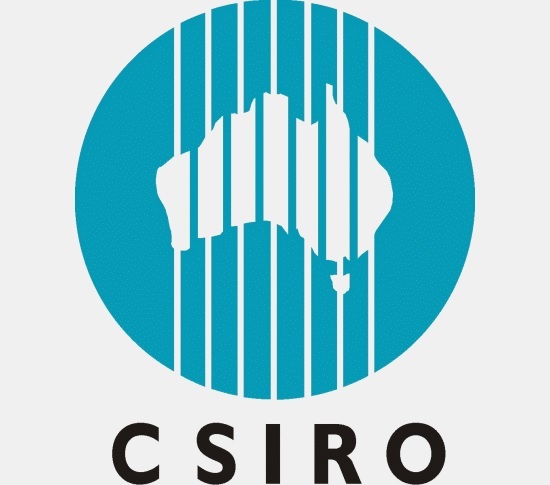 Our Chief Executive Larry Marshall said, “For more than 50 years, CSIRO has been proud to be one of NASA’s homes in the Southern Hemisphere, leveraging our geography but sharing in the world-class capabilities of our scientists. —In parallel to the treaty, a new Cooperating Agency Agreement (CAA) is currently being negotiated between ourselves and NASA. The CAA defines the roles and responsibilities of the two science organisations to manage CDSCC’s deep space operations, as well as the Tracking and Data Relay Satellite (TDRS) equipment in Alice Springs and the TDRS facility in Dongara, Western Australia, which supports communications with the International Space Station. Under another agreement, we also manage NASA’s scientific ballooning station in Alice Springs which is used by NASA and other international space agencies, including recent campaigns by France and Japan, for sending high-altitude atmospheric and space observatories aloft. Building upon its already significant capabilities in space, technology development, radio astronomy and observatory management, we continue to lead the way in Australia’s expansion as a key player and partner in the exploration of the Solar System and beyond. “I’m delighted that we will see this strong US-Australia partnership continue to grow and develop for many years to come with the signing of this treaty. By sharing our network of brilliant minds, our opportunity is as unlimited as space itself,” said Dr Marshall. 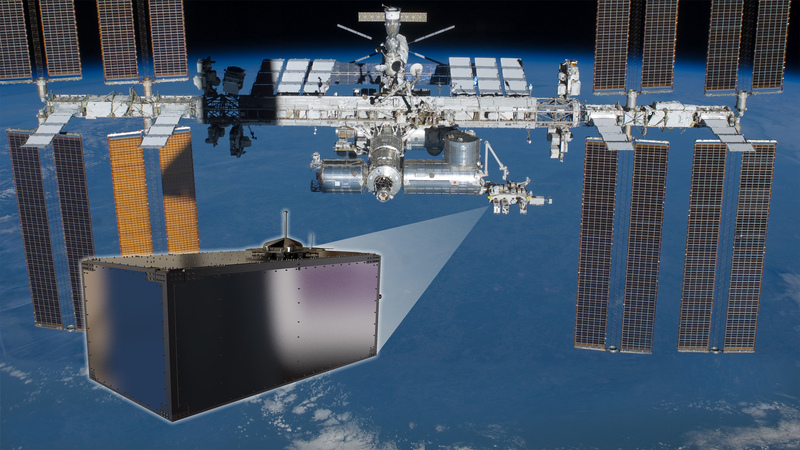 The CSIRO-NASA partnership in space continues to grow and our work together in the Deep Space Network has many more chapters to write in space exploration. This treaty will re-affirm that strong relationship. Colliding neutron stars. No image credit [and not the best I have ever seen, but their choice, not mine]. 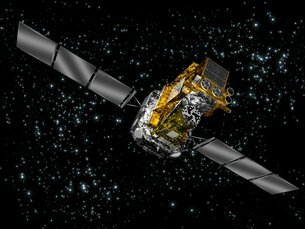 “We realised that we were witnessing something historic when we saw the notification of Fermi’s and LIGO’s detections appear on our internal network almost at the same time, and soon after we saw the confirmation in the data from Integral’s SPI instrument, too,” says Carlo Ferrigno, from the Integral Science Data Centre. 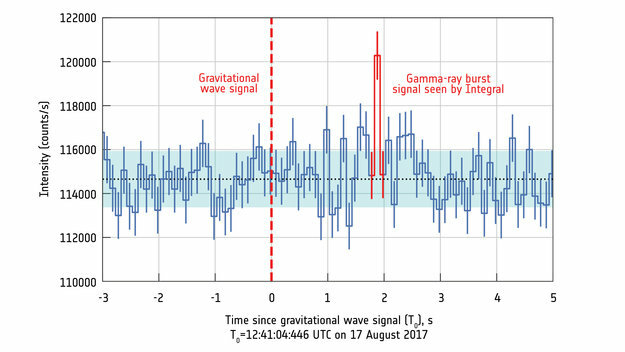 Gamma-ray burst after gravitational waves. No image credit. About half a day after the detections, scientists at various optical observatories, including the European Southern Observatory’s telescopes in Chile, spotted something new near the core of galaxy NGC 4993. Sitting at just the distance indicated by LIGO/Virgo, it was just what you would expect to see in visible light as neutron stars merged. This artist’s impression video shows how two tiny but very dense neutron stars merge and explode as a kilonova. 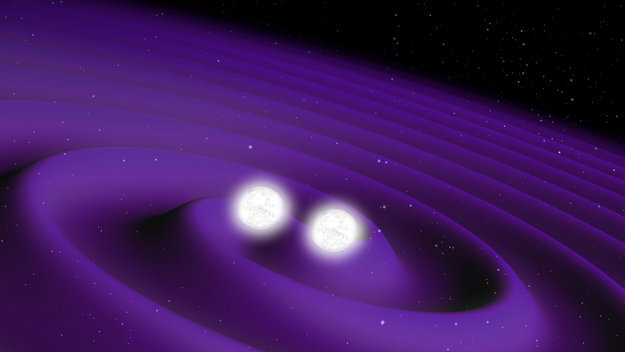 Such a very rare event is expected to produce both gravitational waves and a short gamma-ray burst, both of which were observed on 17 August 2017 by LIGO–Virgo and Fermi/INTEGRAL respectively. Subsequent detailed observations with the NASA/ESA Hubble Space Telescope and other telescopes all over the world have confirmed that this object, seen in the galaxy NGC 4993 about 130 million light-years from the Earth, is indeed a kilonova. These objects are the main source of very heavy chemical elements, such as gold and platinum, in the Universe. Neutron star mergers produce a wide variety of light because the objects form a maelstrom of hot debris when they collide. Merging black holes — the types of events LIGO and its European counterpart, Virgo, have previously seen — very likely consume any matter around them long before they crash, so we don’t expect the same kind of light show. This animation captures phenomena observed over the course of nine days following the neutron star merger known as GW170817. They include gravitational waves (pale arcs), a near-light-speed jet that produced gamma rays (magenta), expanding debris from a kilonova that produced ultraviolet (violet), optical and infrared (blue-white to red) emission, and, once the jet directed toward us expanded into our view from Earth, X-rays (blue). NASA/ROSCOMOS Deep Space Gateway. Universe Today. Cosmic rays are high-energy particles traveling at near the speed of light that constantly shower Earth. But precisely how they originate and accelerate through space requires more study, as does their abrupt decline at energies higher than 1,000 trillion electron volts. These particles have been boosted to more than 100 times the energy achievable by the world’s most powerful particle accelerator, the Large Hadron Collider at CERN. 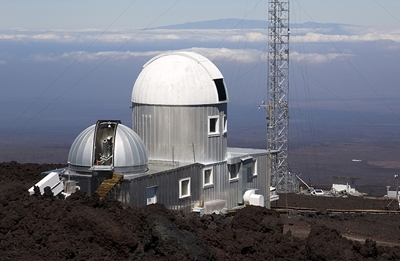 A newly discovered, roughly Earth-sized planet orbiting our nearest neighboring star might be habitable, according to a team of astronomers using the European Southern Observatory’s 3.6-meter telescope at La Silla, Chile, along with other telescopes around the world. At its orbit, the exoplanet Proxima b likely couldn’t sustain an Earth-like atmosphere. Credits: NASA’s Goddard Space Flight Center/Mary Pat Hrybyk-Keith. 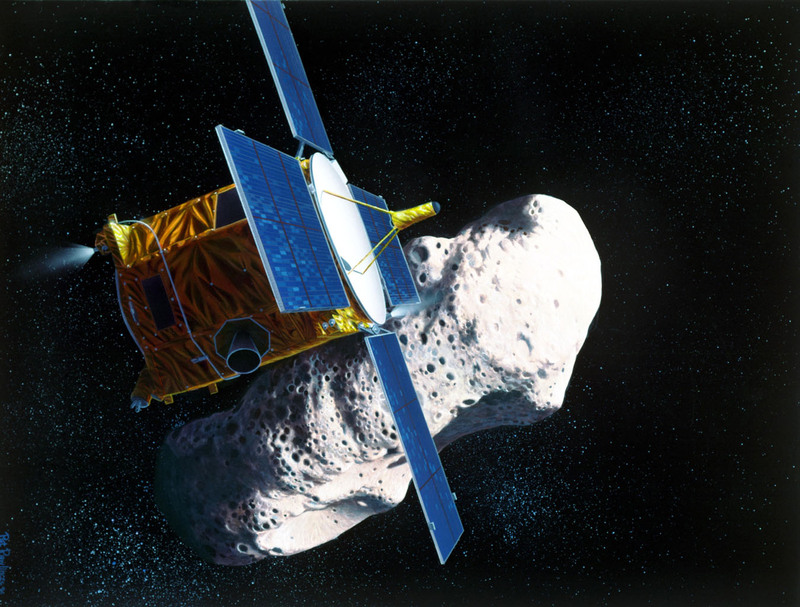 Artist’s rendering of the the Near Earth Asteroid Rendezvous (NEAR) spacecraft’s rendezvous with the asteroid Eros. NASA. Most of this ancient space rubble can be found orbiting the sun between Mars and Jupiter within the main asteroid belt. Asteroids range in size from Vesta – the largest at about 329 miles (530 kilometers) in diameter – to bodies that are less than 33 feet (10 meters) across. . The total mass of all the asteroids combined is less than that of Earth’s Moon. Editor’s note: Even with more than one-half million asteroids known (and there are probably many more), they are still much more widely separated than sometimes seen in Hollywood movies: on average, their separation is in excess of 1-3 million km (depending on how one calculates it). The three broad composition classes of asteroids are C-, S-, and M-types. The C-type (chondrite) asteroids are most common, probably consist of clay and silicate rocks, and are dark in appearance. They are among the most ancient objects in the solar system. The S-types (“stony”) are made up of silicate materials and nickel-iron. The M-types are metallic (nickel-iron). The asteroids’ compositional differences are related to how far from the sun they formed. Some experienced high temperatures after they formed and partly melted, with iron sinking to the center and forcing basaltic (volcanic) lava to the surface. Only one such asteroid, Vesta, survives to this day. Jupiter’s massive gravity and occasional close encounters with Mars or another object change the asteroids’ orbits, knocking them out of the main belt and hurling them into space in all directions across the orbits of the other planets. Stray asteroids and asteroid fragments slammed into Earth and the other planets in the past, playing a major role in altering the geological history of the planets and in the evolution of life on Earth. Scientists continuously monitor Earth-crossing asteroids, whose paths intersect Earth’s orbit, and near-Earth asteroids that approach Earth’s orbital distance to within about 45 million kilometers (28 million miles) and may pose an impact danger. Radar is a valuable tool in detecting and monitoring potential impact hazards. By reflecting transmitted signals off objects, images and other information can be derived from the echoes. Scientists can learn a great deal about an asteroid’s orbit, rotation, size, shape, and metal concentration. The Near Earth Asteroid Rendezvous (NEAR) Shoemaker spacecraft being assembled. NASA. and the Rosetta mission encountered Steins in 2008 and Lutetia in 2010. Deep Space 1 and Stardust both had close encounters with asteroids. NASA’s Dawn spacecraft, launched in 2007, orbited and explored asteroid Vesta for over a year. Once it left in September 2012, it headed towards dwarf planet Ceres, with a planned arrival of 2015. Vesta and Ceres are two of the largest surviving protoplanet bodies that almost became planets. 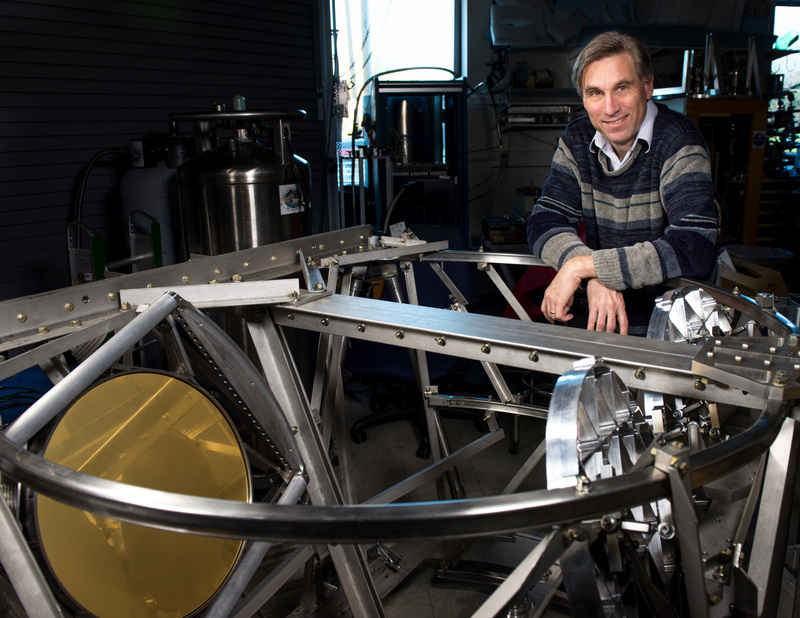 By studying them with the same complement of instruments on board the same spacecraft, scientists will be able to compare and contrast the different evolutionary path each object took to help understand the early solar system overall. Near-Earth asteroids: These objects have orbits that pass close by that of Earth. Asteroids that actually cross Earth’s orbital path are known as Earth-crossers. As of June 19, 2013, 10,003 near-Earth asteroids are known and the number over 1 kilometer in diameter is thought to be 861, with 1,409 classified as potentially hazardous asteroids – those that could pose a threat to Earth. The International Astronomical Union’s Committee on Small Body Nomenclature.is a little less strict when it comes to naming asteroids than other IAU naming committees. So out there orbiting the sun we have giant space rocks named for Mr. Spock (a cat named for the character of “Star Trek” fame), rock musician Frank Zappa, regular guys like Phil Davis, and more somber tributes such as the seven asteroids named for the crew of the Space Shuttle Columbia killed in 2003. Asteroids are also named for places and a variety of other things. (The IAU discourages naming asteroids for pets, so Mr. Spock stands alone).